Safety in the workplace is extremely important, but falling items are not just a hazard – they can cost you time and money. However, with some planning it is possible to minimise the risks of goods falling in a warehouse, which will help make operations more efficient and cost-effective. Goods are often stacked, stored on shelves or slotted away on high racks to make the most of available space, along with overhead conveyor racks. This is fine until something heavy topples from its moorings and is either destroyed or falls on someone and injures them. Goods can fall for all kinds of reasons, but the important thing is to plan ahead and make sure they are stacked safely. 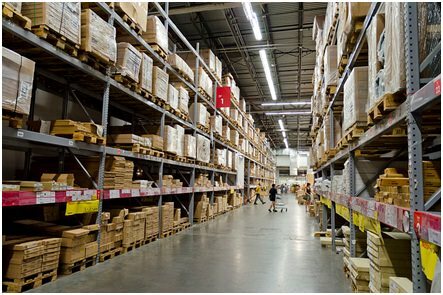 Some pallet racks can be more than 30 feet tall and contain some heavy goods. Avoid accidents by ensuring that the pallet’s lateral spacing is correct. The right amount of space means it is easier to access the goods with a forklift without bumping something else that is in the way. Follow industry standards and always allow an extra foot of space. Also monitor the height of loads and the spacing for beams in the rack system. Again, generous spacing means that it is much easier for forklift drivers to negotiate their way through the racks. Make sure your warehouse is lit properly, as anyone handling goods will be able to work more effectively if they can see what they are doing. It also makes sense to store the heaviest loads at floor level, where they are easier to get to. It will create more stability at the base of stacked goods. An unsafe warehouse where workers are frequently injured will attract attention for all the wrong reasons, as seen in this report from The Guardian. 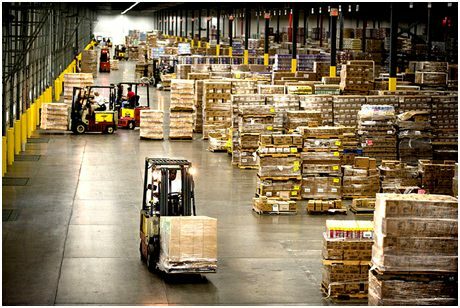 If you are interested in options for industrial shelving in Ireland, it would be a good idea to consult local experts such as https://www.rackzone.ie/shelving/industrial-residential-shelving. A reputable company like this should be able to provide advice, tips and a range of solutions for industrial shelving in Ireland. Common sense has a role to play in efficient and safe warehouses, as does training staff to load and unload goods in a sensible way. Always putting the heaviest items at the bottom is a good start.